Kohut, Zenon [Когут, Зенон], b 18 January 1944 in Yaniv (now Ivano-Frankove), Yavoriv county, Galicia. Historian. After the Second World War Kohut’s parents emigrated with him as political refugees to the United States and settled in Philadelphia, where he studied at La Salle College (BA 1966) and the University of Pennsylvania (MA 1970, PhD 1975). After the creation of the Harvard Ukrainian Research Institute (HURI), he edited its Minutes of the Seminar in Ukrainian Studies … and Recenzija: A Review of Soviet Ukrainian Scholarly Publications (1971–5). During the years 1973–5 and 1977–8 Kohut was a research associate at HURI and Harvard University’s Russian Research Center. He taught Russian and Ukrainian history at the University of Pennsylvania (1975–6), Michigan State University (1979–8), Yale University, and the Harvard Ukrainian Summer Institute before becoming editor of the American Bibliography of Soviet and East European Studies (1980–4), a senior research analyst at the Library of Congress (1984–9), and a Soviet political affairs analyst at the U.S. Department of Defense (1990–2). 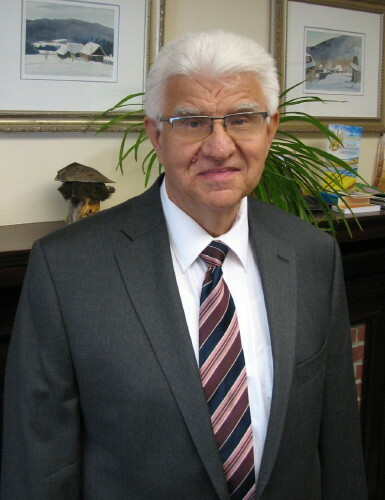 From 1992 to 2014 Kohut worked at the University of Alberta’s Canadian Institute of Ukrainian Studies (CIUS) as first head of the Stasiuk Program for the Study of Contemporary Ukraine and editor of the Journal of Ukrainian Studies (1990–2). As acting director (1993) and longtime director (1994–2012), he oversaw a dramatic expansion of CIUS’s activities in Ukraine, particularly by the Kowalsky Program for the Study of Eastern Ukraine, which he established in 1998. Kohut is a renowned expert in the history of the Cossacks, especially the Hetman state of the eighteenth century. His major publications are Russian Centralism and Ukrainian Autonomy: Imperial Absorption of the Hetmanate, 1760s–1830s (1988, Ukrainian trans 1996) and a collection of his historical articles, Making Ukraine: Studies on Political Culture, Historical Narrative, and Identity (2011, Ukrainian trans 2004). He is also co-editor of the Historical Dictionary of Ukraine (2005). In 2012 he was awarded the Antonovych Prize for his contribution to the study of Cossack Ukraine.